“….and when one of them meets the other half, the other half of himself….the pair are lost in amazement of love and friendship and intimacy and one will not be out of the other’s sight, as I may say, even with a moment…. This feature of true Soulmates, has always seemed to me to be a rather simple portrait, of simple people, who have somehow deluded themselves into thinking that without Soulmate B, Soulmate A was a deficient or immature person. How could a mature and independent person, I thought, not be without another person, no matter how close they are, for even a minute? It just didn’t seem plausible to me. However, we all know that Plato was no blithering idiot. He was one of the great deep thinkers of history. Also, I was a total skeptic, on the subject of Soulmates. I consider myself to be a reasonably intelligent person, who can understand the nuances of human behavior. I also think I am a highly logical thinker, who can separate the wheat from the chaff, the nonsense from the realities of existence. Man, was I in for a rude awakening. Twinklbear is my true Soulmate. Since our Soulmate relationship had declared itself early on, and had evolved in terms of my understanding of the ramifications of it, I’d like to explore it with you. Specifically, I’d like to address this incredible need of Soulmates to be together, every minute of every day. Note that I didn’t say that true Soulmates had the ability to be with each other, every minute, of every day. What I alluded to, was the need of each Soulmate, to be with the other, constantly. That need is a constant, for Twinklebear and me. I’m here to tell you, it is true. From almost the very first day that we met, Twinklebear and I have felt this feeling of being emotionally torn, every single minute, that we could not be in the other’s company. Merely calling this “being close,” would do no justice to what we feel. I’m feeling this right now, as Twinklebear is at a social function, as I write this. I feel, somehow adrift, unanchored, unmoored from reality. I feel acutely incomplete, as though part of me is missing. I don’t have to tell you who that other part of myself it is. 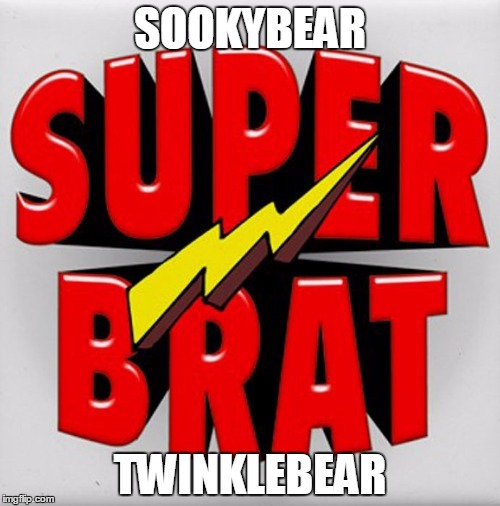 It is Twinklebear. I wouldn’t be wrong, if I characterized this terrible feeling, as feeling desperate. Consider this: For the last 16 months, we have not had a single, solitary day, when we were not in each other’s company, for at least parts of those days. And the feeling was, that time spent with each other on every one of those days for 16 months straight, was not enough for us. The fact that Twinklebear and I also believe that we are reincarnated lovers, spouses and Soulmates is a separate issue, a bone to be picked on another day (although it is my understanding that true Soulmates often meet through providence, in many lifetimes). Being a novice in the Soulmate area, all this faithful reporter can do, is to report to how I feel, and how Twinklebear feels—and have felt, every day for the past 16 months. We cannot not be without each other! That clear enough for ya? I don’t pretend to have the explicable rationale for it, or a logical scientific explanation for this phenomenon. Without the benefit of a greater sampling of 26 other “Soulmate couples”, and double-blind studies of such, Twinklebear and I could only come to one, viable conclusion. That our amazing need for the other, the feeling that we cannot live without the other’s company, with the attendant emotional pain we deeply feel when apart–is that we are true Soulmates. Pure and simple, man. You’re welcome, Twinklebear. I also love you Forever and a day, Baby. 12 12 12 🙂 Thank you.